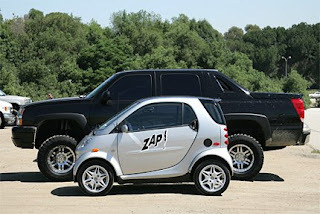 Josh complained about the picture of the Smart Car because he couldn't tell how small it was because there was nothing to compare it to. So here ya go. It's tiny.